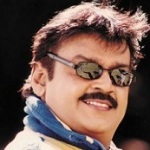 Tamil actor Vijayakanth was born on 25th August 1952 in Madurai city, Tamil Nadu state. His birth name was Vijayaraj Alagarswami. Initially he had no plans for his film career and accidentally landed in films. 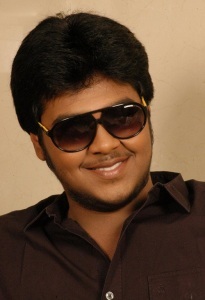 He made his acting debut with Tamil movie Inikkum Ilamai in 1979 co-starring Sudhakar and Radhika. Subsequently he appeared in numerous blockbuster hits like Sathriyan, Thayagam, Captain Prabhakaran, Chinna Gounder, Vaanathai Pola co-starring Prabhu Deva, Meena and Livingston, Vallarasu co-starring Devayani, Livingston and Vadivelu, Thavasi co-starring Soundarya and Nassar, Ramanaa co-starring Simran and Vijayan, etc. 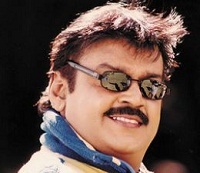 Vijayakanth formed his own political party named Desiya Murpokku Dravida Kazhagam in 2005. 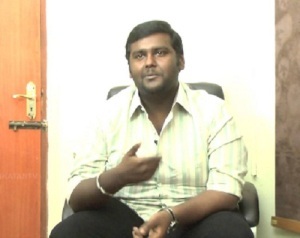 In 2011 state assembly election he formed an alliance with AIADMK and won 29 seats of 41 seats contested. 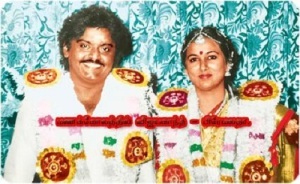 But after the election Vijayakanth separated from AIADMK and joined BJP. He was born to K. N. Alagarswami and Andal. His father was a politician and chosen as a Madurai’s councilor for two terms. His mother died when he was just one year old kid. 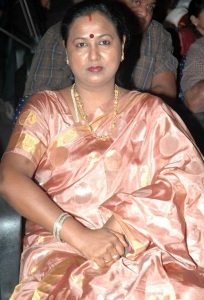 After death of Andal his father married Rukmani and had 7 children. Nagraj, Selvaraj, Balraj, Ramraj and Prithiviraj. Dr. Vijay Lakshmi Devaraj, Thirumala Devi Muthuraman, Chitra Rajaram, Meena Kanniah and Shanthi Sakethram. He is married to Premalatha since 31st January 1990 and the couple gave birth to two sons named Vijayaprabhakaran and Shanmugapandiya.